A lorry ended up in a hedge after crashing when its trailer came away from its cab near Rugby on Friday afternoon (March 31). The driver was unhurt but police are investigating how the trailer detached from the tractor unit while moving on B4453 Straight Mile at around 2.45pm. Both units were recovered from the side of the road using specialist equipment by BV Commercials Recovery Agency to assist the investigation. 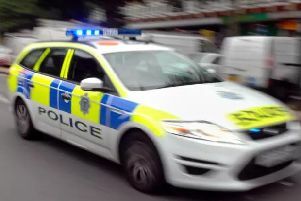 The road was closed between the A4071 at McDonalds to Bourton on Dunsmore as emergency services dealt with the crash about halfway down the road.